Think of the Excalibur Shadow Zone as a Tact-Zone with slightly better optics. When comparing the two side by side the Shadow Zone does produce a noticeably clearer and crisper image overall, especially in low light conditions. The Shadow Zone is a bit longer than the Tact-Zone, so you will sacrifice size for the better image quality. If you own a super compact crossbow and plan to do a lot of still hunting and moving around through the woods the Shadow Zone may not be the best choice. For tree stand hunters who want to squeeze every single second of shootable light out of the day, the Excalibur Shadow Zone is a perfect choice. The Shadow-Zone has got the exact same fundamental design functions as the popular Vari-Zone model PLUS a double color illuminated multiplex reticle 2-4X32mm, making it a must for hunting when you experience low light conditions. Like the Vari-Zone and Tact-Zone, the Shadow-Zone features Excalibur’s adjustable multiplex crosshair system that makes it feasible to regulate crosshair spacing for 10 yard increments to complement the precise trajectory of your crossbow at velocities between 250 and 350 Feet Per Second. Visibility is great even at final shooting light with the Excalibur Shadow Zone. The illumination in the reticle will not shine through the other end of the glass and alert animals of your presence. The speed adjustment is really a nice feature and greatly improves the overall accuracy of different crossbow poundages. 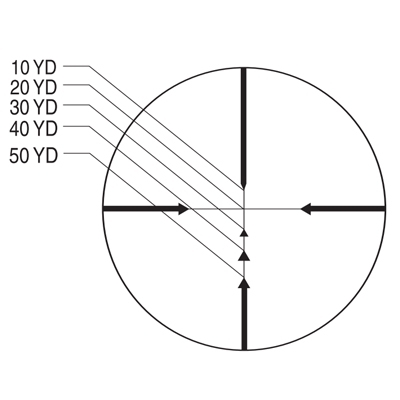 What are the dimensions of the Excalibur Shadow Zone Crossbow Scope? The scope weighs just over 7 ounces and is about 13 inches long. This isn’t a compact scope. It is best suited for hunting from ground blinds or tree stands vs still hunting in thick woods or heavy brush. How does the Excalibur Shadow Zone perform in low light? Low light performance was great using this scope. We noticed better image quality vs the smaller Tact-Zone scope and dialing the illumination setting down to the dimmest setting was not overwhelming during low light shooting. Are mounting rings included when I buy an Excalibur Shadow Zone scope? No, rings are not included. Any set of standard 1″ mounting rings should work fine. How durable is the Excalibur Shadow Zone? This scope is a real work horse. The high-end optics are multi-coated for fog and glare prevention and the tube is nitrogen filled as well. 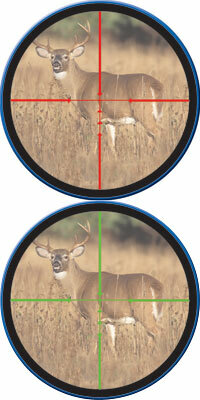 Buy the Excalibur Shadow Zone crossbow scope if you plan to hunt from a blind or tree stand. 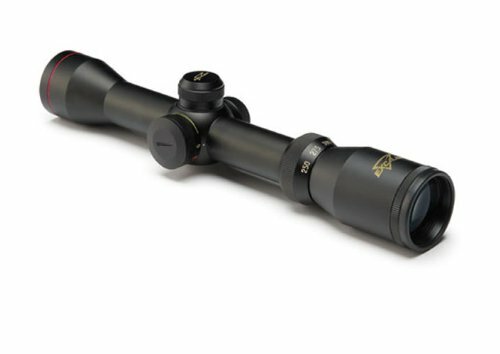 With its crystal clear optics the low light performance is excellent, and the illumination feature dials up and down nicely and does not over power the sight picture or seem to shine out of the bell end of the scope to alert game animals. It's easily adjusted to specific crossbow arrow FPS which makes sighting it in quick and easy. The nitrogen filled aluminum tube is nice and sturdy. We did not experience any issues with fogging on the exterior or interior. Our review of the Excalibur Shadow Zone crossbow scope left us feeling very confident in it's ability to perform well over a wide variety of hunting scenarios. It would make a wonderful upgrade over the standard issue scopes on many crossbows. And don't let the name fool you, it can be used on any crossbow, not just Excalibur.